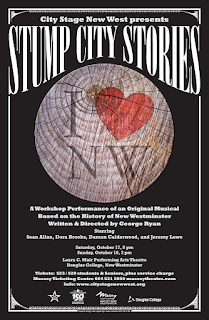 STUMP CITY STORIES CAST RECORDING -- A GIFT TO OUR CITY! 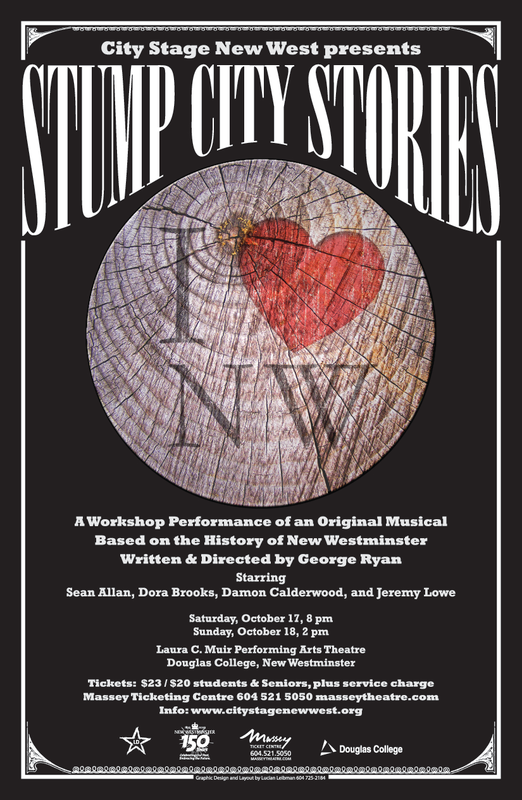 City Stage New West is engaging in a fundraising drive to produce a professional cast recording of STUMP CITY STORIES, by George Ryan--the original Ovation Award-nominated musical based on the history of New Westminster which we commissioned in 2009, and brought to 1500 New Westminster Secondary Students free of charge in 2010. If we achieve our fundraising goals, we will donate the use of the music to the City, Library, and School District for future civic and educational purposes, and donate hard copies of the cd’s to the new Anvil Centre (http://www.anvilcentre.ca ) for sale at its gift shop. Contact us for more information on the drive and how to become a supporter or ‘co-producer’ of this exciting community service project! City Stage New West is a registered charity. Click Canada Helps or on the box above to make a secure online donation. Thank you for supporting the arts in New Westminster. SHAW SHORTS! a night of naughty Edwardian hijinks, was performed in 2017 at the exquisite Galbraith Manor. KICKSTARTING Our Cultural Legacy Gift for New Westminster! STUMP CITY STORIES, the CD, is finished! This article on Burning Up the Infield appeared in the Province newspaper: Read the article online here . Jan. 24 - Feb. 5, 2017: SHAW SHORTS!